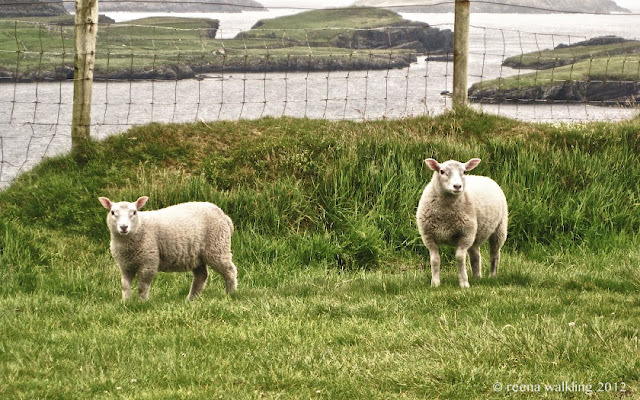 This photo was taken somewhere along the Ring of Kerry in Ireland in 2010. "You cannot travel the path until you become the path itself." Reena, I love the comment about the sea's performance...yes, it's been the same since the beginning of time. Lovely poem! Loved this so much, I pinned it. Beautiful. Your words made me feel I was really there. Great job!!! You have such a way with words. Very beautiful Reena!! A very deep and intriguing poem. Your sheep picture is so real, almost like they could come right off the page. It almost looks like a painting in a child's book. My sheep photos are really bad compared to this one. But I did discover that they seem pretty stupid. They really do need a shepherd! Though I am not a sheep. Just so peaceful and serene....to be sure! What a wonderful, beautiful poem, Reena! And, of course, I love the sheep! Thank you for the beauty and wisdom you have shared! Have a great week! A lovely poem and image. Hello Reena! I so love the poem. :D Whenever I see sheeps, they give me an impression of peace. I'll be printing this one later. I love the creative words and image! Hey, you lookin' at me? You gotta problem? It's a lovely view and the sheep's look ready for shearing. Your poem and your photo are both amazing. Loved the poem so much I copied it in to my journal. Lovely! Reena, your words are just beautiful, and what a perfect photograph for them! So nicely done. What a beautiful picture and as always you have wrote just the write words for it which transport one's mind's eye to another place and time. beautiful in all possible ways! Hello again... just catching up on some of your old posts since it's been a while. You are so incredibly gifted both with words and with your lens. I am a huge fan of all your photos but I do especially love your exquisite bird images - the details are so amazing. P.s. Thank you SO much for your kind support for my work. I've been so busy lately that I didn't even notice a full inbox (so no notice from Paypal!). On top we suffer a truly bad internet connection which from time to time drives me to distraction. Anyhow... thank you. I am so warmed by your gesture. Beautiful...the gift of words and images. Beautiful poem and image, Reena. Wonderful winding path of words to match those wary sheep! Love that photo - it looks like those sheep live in a marvelous place! Love your poem as well! Love, love, love this. Beautifully written. What a lovely poem. And I agree with Budda - well a Budda - because we are all Buddas! Wonderful post reena! Cheers!! Aren't they adorable! So cute! The sheep are lovely, but the words are devine! Really like the photo and LOVE the poem! An artist in both words and pictures. How lovely! striking out on the path that is ours and ours alone, yet again. love it. I like the forging of new paths - that often lead to new ways of feeling. The sheep are interested in you! I don't remember that you did poetry the last time I was here... but maybe you did! This is really great!